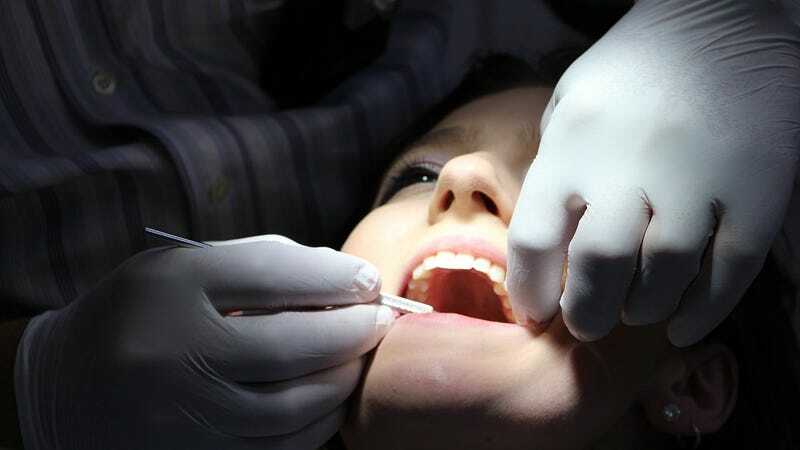 A common rite of passage—having your wisdom teeth pulled—might be raising the risk of teens and young adults becoming addicted to opioids, a new study out Monday in JAMA Internal Medicine suggests. Youngsters who are prescribed opioids by their dentist, often for wisdom tooth extractions, are more likely to abuse opioids within a year’s time than those who don’t get prescribed dental opioids, the study found. Last year, more than 60,000 people died from opioid overdoses in the U.S., the largest recorded toll yet. The sharp uptick in deaths as of late has largely been caused by illicit opioids such as fentanyl, not prescribed painkillers. While only a small percentage of people who are prescribed opioids develop a harmful addiction, the risk of addiction does tend to increase the more we are exposed, which has led doctors and researchers to explore ways to safely cut back on opioid prescribing. With that in mind, the Stanford University researchers behind this study decided to look at how commonly opioids are used in dentists’ offices, and whether this use is helping drive greater rates of opioid addiction in young people. They looked at the medical records of nearly 15,000 insured people between the ages of 16 to 25 who had been prescribed opioids by a dentist in 2015. Because they wanted to study a possible connection between new dental opioid prescriptions and later addiction risk, they excluded from the study people who had been prescribed opioids or been diagnosed with opioid abuse within the previous year. Then they compared that group of 15,000 patients to some 30,000 patients of similar demographics who received no opioid prescriptions in 2015. Before a year had gone by, 5.8 percent of the 15,000 had received an opioid abuse-related diagnosis from a doctor. Also of the 15,000, 6.9 percent were prescribed another batch of opioids three months to a year after the initial prescription. Comparatively, only 0.4 percent of the control group went on to have an opioid abuse-related diagnosis. “The findings suggest that a substantial proportion of adolescents and young adults are exposed to opioids through dental clinicians,” the authors wrote. Wisdom teeth are the last set of adult teeth to grow in, usually around the ages of 17 to 26. Because of the limited space in the mouth, wisdom teeth can collide into the teeth in front of them as they grow, preventing them from ever filling out completely, a condition known as teeth impaction. And while the study doesn’t get into why people received opioids for their dental care, extractions of these impacted wisdom teeth are a common dental surgery for people in that exact age group, and patients are usually given strong pain medication such as opioids post-surgery. But although these extractions are often considered a necessary procedure, there’s reason to be skeptical of that idea, at least if the teeth aren’t hurting you. In 2016, a Cochrane review of the literature found there wasn’t enough good evidence showing that extractions of impacted wisdom teeth causing no symptoms (such as gum bleeding or pain) are worth it, nor that the surgery lowered the risk of other dental problems down the line, like cavities of surrounding teeth or gum infections. It also called for more high-quality evidence, such as randomized trials, to settle the matter. Even if pulling wisdom teeth does turn out to be the best move, the authors of the new study say their findings should make dentists start to reconsider their reliance on opioids as a first-line pain treatment for young patients. Other studies have shown that non-opioid medications like acetaminophen or nonsteroidal anti-inflammatory drugs (NSAIDs) could be more effective at treating post-surgery pain than opioids. “This work raises two really important related but separate questions: Do we need opioids, and do we need the procedure?” lead author Alan Schroeder, clinical professor of pediatrics at Stanford, said in a statement.